There's lots of reasons why you might need a tree removed. It's okay. Sometimes they die. Sometimes they are encroaching on areas of your property where you don't want trees. Give us a call and we will remove it safely. Trees grow extremely fast around here! That is why you want to make sure that you stay on top of it. We can give you a hundred reasons for why you may need to give us a call, but it only takes one. Be safe and keep your trees trimmed and healthy! Your trees will take care of you if you will take care of them. Tree health is an important thing. Sure you could just let them do their thing, but many times rot sets in, insects take over, large branches fall off in storms which lead to other issues... Give us a call! Don’t trust your tree service Marietta to anyone besides Marietta Tree Works, the number one tree care company in the state! We know this is a bold claim, but we’ve worked hard for the past 30 years to earn the reputation of being the tree service Marietta GA residents trust, and we aren’t going anywhere any time soon. When it comes to having your trees fertilized, trimmed, thinned, or in the unfortunate case that a tree needs to be removed, you’ll be working with the most qualified, most experienced team in Marietta and beyond. We know our customers have come to expect an experienced, professional team. That’s why we don’t waste our time – or yours – with tree care specialists who aren’t certified and highly trained. We hire only the best arborists and tree specialists. Then we pass their expertise and training on to you. Tree removal and other services are our daily routine, so we work quickly and efficiently to get the work done. You shouldn’t have to deal with a tree across your driveway or on your roof, especially if it has caused damage to your home or vehicles. The last thing you want to deal with is a huge oak tree that has fallen across your property. Only Marietta Tree Works can get the damage cleaned up so the repair work can begin. As the tree service Marietta trusts, we are confident that we can serve our customers’ interests better than any other tree care company in the area. 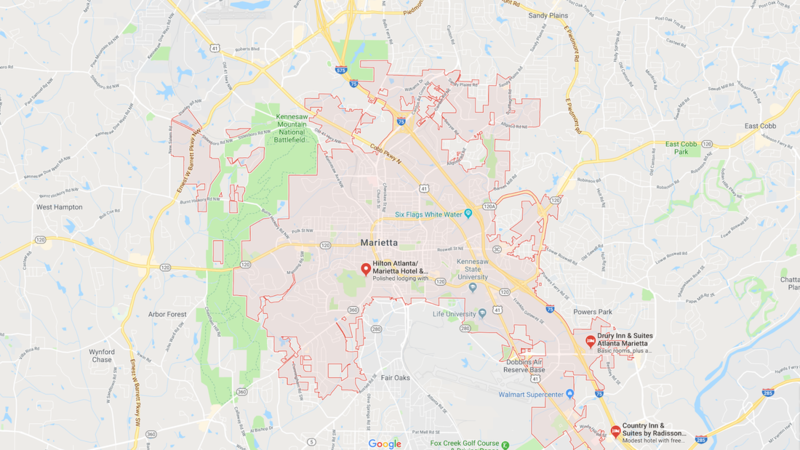 We know that Marietta wants a reputable tree service company that it can trust, and that’s why we work so hard in every area of the business to be, undisputedly, the number one company of our kind. You're looking for 100% satisfaction on every job...so are we. We place a high priority on getting the job done right, on time. We provide a full array of services for both residential and commercial applications. We offer you the best price you can get. Did you know that we can save you thousands of dollars a year? It doesn’t make sense that spending money on your landscaping will save you money in the end, but after decades in the tree care business, we’ve seen it proven true time and again. The cost of annual inspections may seem like an added expense, but they can actually save you a lot of money compared to tree removal services that may result from letting a tree go on too long with damage. 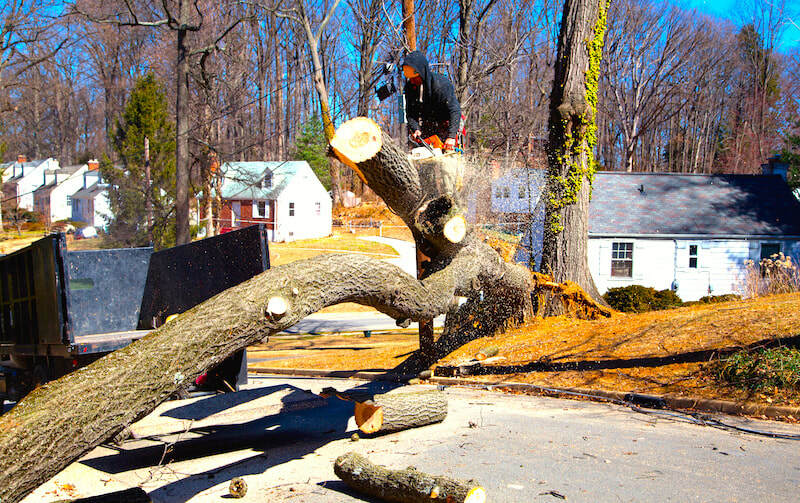 Full tree removal service is much more expensive than tree consulting due to the heavy equipment we have to use, the safety concerns involved, and the sheer man power it takes to bring down an entire tree. Home and vehicle repair isn’t cheap, either, but that’s exactly what you’ll be dealing with if you don’t have your trees inspected regularly. If a tree falls on your home, the insurance will probably take care of most of the repairs, but you’ll still have the deductibles to worry about, plus all the time it’s going to take out of your already busy schedule to handle all the scheduling and to deal with contractors. The same is true if a tree falls on your car. The damages could take weeks to repair, leaving you without a way to work, school, and social events. Don't just call any old yahoo out there with a chainsaw to get you taken care of. Call the tree service Marietta turns to when things like this happen! Save yourself all this hassle by scheduling annual tree inspections with the certified arborists at Marietta Tree Works. We can help maintain the beauty and health of your trees while also saving you money and protecting your family and property! 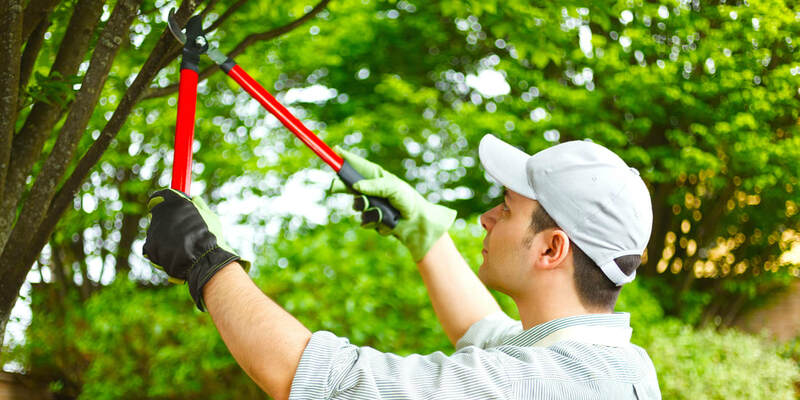 When Should You Call Tree Services Marietta? As you now know, you can call us any time for annual tree inspections. 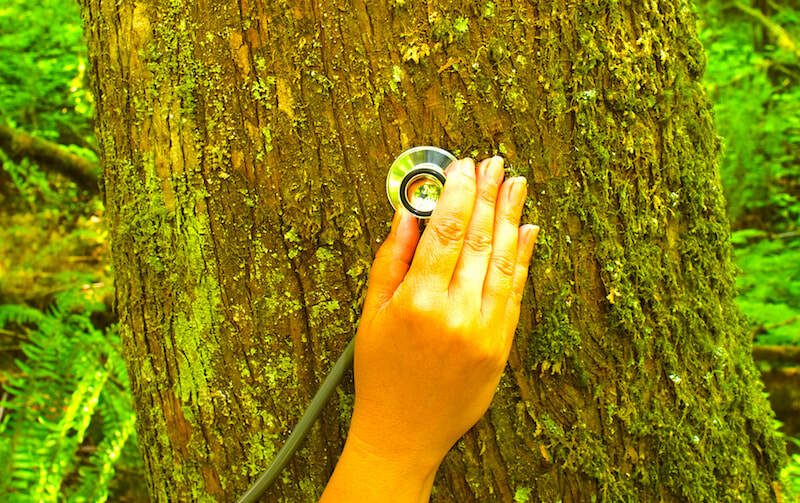 This is the single most important thing you can do for the health of your trees. Inspections can catch problems before they become dangerous for your family, your property, or the tree itself. You can also call Marietta Tree Works any time you have a tree concern. We can do tree trimming, fertilizing, bracing and cabling, and many other services as needed. You can call Marietta Tree Works any time you need us, and we’ll be there as soon as possible, at your convenience, to manage your tree concerns and issues. You can especially rely on Marietta Tree Works in an emergency! When everyone else is done for the day, our teams are ready to respond to tree service emergencies at a moment’s notice. We offer 24/7 emergency tree removal services, so even if a big storm blows a tree over in the middle of the night, you can trust us to be there as soon as conditions permit! We will remove the tree or branches from your property and help you minimize any further damages until you can have them repaired. This could include installing a temporary tarp on your roof to prevent rain or pests from entering your home. Whatever you need in an emergency, we’ll do our best to help! Marietta Tree Works Is An Excellent Value! We’ve always believed in supplying our customers with high-quality service. It goes without saying that great service is a major part of staying alive in the competitive Marietta market. However, it takes more than just being good at your job to stay on top! With so-called professional tree care companies popping up every day, literally, it’s important to offer Marietta customers the total package. For this reason, you’ll also recognize a difference in the way we treat our customers. Every Marietta home and business owner deserves to be treated with respect and courtesy, and that’s exactly what you’ll get with Marietta Tree Works! The final ingredient to our long-term success is great prices. Our top-notch service comes at a price you can afford, because at Marietta Tree Works, we’ve always believed in providing value to our customers. This means low prices on high-quality service…always. Sometimes you just need another set of eyes on it, right? If something doesn't look right, or you're not sure where to place your trees on your next project, give our Marietta tree service a call! When the wind starts to blow and in the rare event of a big ice storm, your tree branches tend to fall. That is when you need to call us to come and take care of the mess that the storms leave behind! Unfortunately, sometimes our trees don't cooperate. Tree limbs can fall on to power lines or right thru the roof of your house! Don't try to handle these on your own. Give the experts a call! As a certified arborist, I know the difference between damage caused to a tree by fungus, insects, or rot. Do you? 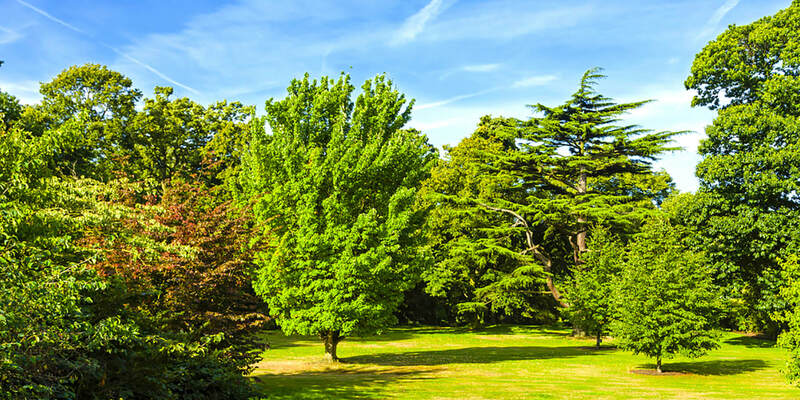 It is best to leave diagnosis and treatment up to the experts in order to save your trees! Our tree specialists know all the ins and outs of tree care. They are specially trained and certified, so they are extremely qualified to give you advice on general and specific tree services that can benefit your trees. This may include any of the services below or more specialized services such as root zone injections, aerations, or drenches. Their professional consultations can diagnose tree issues and prescribe the perfect cure for nearly any situation. Tree maintenance is something that should be done throughout the year in order to maintain beautiful, healthy trees. Proper tree care will produce more blooms, more fruit, and a more consistent growth pattern year after year. Tree maintenance begins with skilled evaluations by experts who know all about native and non-native tree species. 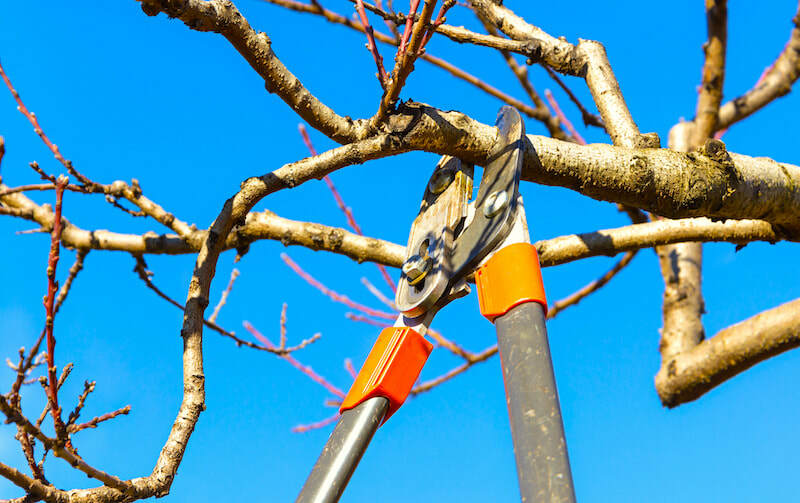 From there, they must also apply the proper pruning techniques and products specially designed for the trees on your property. Tree removal is done in rare cases where a tree has become a danger to everyone and everything around it or when the tree has grown too large for the space it occupies. Sometimes, we also encounter situations where a home or business owner simply isn’t happy with the appearance of the grown tree and would like to replace it with another one for a more pleasing view, more shade, or fewer leaves to clean up in the fall. Whatever the reason, you can trust Marietta Tree Works to remove an unwanted tree from your property without disturbing your landscaping or any of the trees surrounding it. Tree trimming in Marietta, GA requires expert skills. Marietta Tree Works has the ability to trim any species of tree in your yard. This is a task that’s best left to professionals because it can be extremely dangerous. Tree trimming can be unpredictable, even if every precaution is taken. 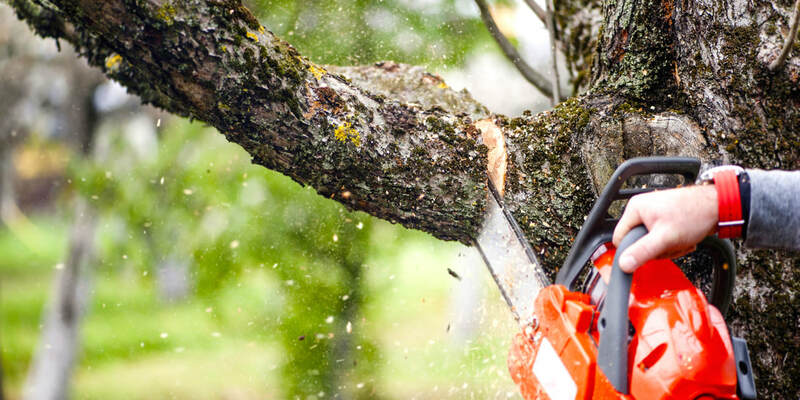 Our specialists have the experience to adjust to anything a tree or limb may do as it is cut. Tree cutting in Marietta is a common service we provide when customers would like to clear a piece of land for a new construction or for a better view. When you need several trees cut – or an entire acre of them! – call Tree Services Marietta for professional tree cutting. We have the proper equipment and trained tree cutters, so you can trust that your trees will be cut safely and efficiently. Tree bracing and cabling are services that we can provide for trees that have already sustained some sort of damage or tree species that are susceptible to wind and storm damage. Certain types of trees have heavy, wide crowns, so it’s important to brace these trees before they split right down the middle, which almost always leads to cutting the entire tree down. You can avoid losing a beautiful tree on your property by letting Marietta Tree Works brace or cable your trees. We will also inspect the bracing and cabling each year to make sure that it is still supporting your tree the way it should. When a tree falls without any warning, it can leave you in a panic if you don’t know who to call for help. Now you know that Marietta Tree Works has 24/7 emergency tree removal services! Our team can be there in an instant, anywhere in Marietta and beyond, to remove a tree that has damaged your property. When Marietta Tree Works removes one or several trees, we won’t leave behind ugly stumps. We’ll also offer to do stump grinding with our powerful equipment. There are commercial stump grinders you can rent, but they can be expensive to use and dangerous for anyone who isn’t properly trained. Let the tree service Marietta GA residents trust do the stump grinding for you! We’ll give you the option of keeping the wood chips to use as mulch, or we can haul them away as if the tree never existed. As you can see, Marietta Tree Works has many services to offer, so call us today or fill out the handy form on this page to give us detailed information about your tree questions and concerns. These are great tips that Stihl points out. Sometimes tree service work looks a lot easier that it really is. If you are not trained in it, it is best not to attempt it! We have built this business on a good reputation! The storms did a real number on the trees around our house. Bob and his team were able to get them whupped back in to shape in no time! Marietta Tree Works removed several trees around our property that had become a real eyesore in recent years. Glad we hired them! I hire Bob and his guys for all of my rental properties - they do a great job!